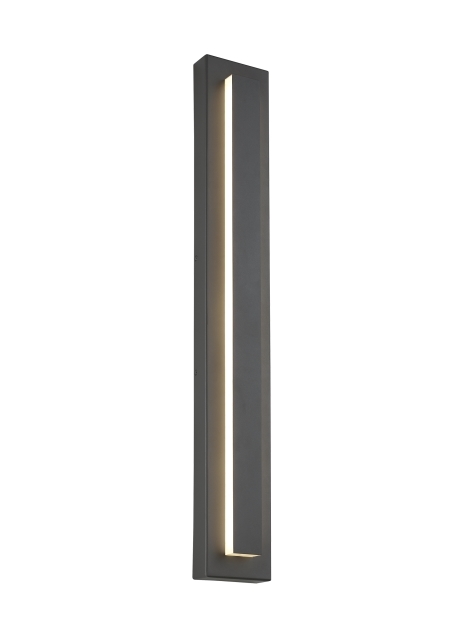 The Aspen outdoor wall sconce is an elegant elongated column of beautifully diffused light. Light emerges from the minimalist rectilinear sconce design giving off beautiful illumination in two directions. The Aspen is available in four sizes to meet architectural scale, ideal for way- finding and general outdoor illumination. The Aspen is available in two on-trend finishes, Bronze and Charcoal. The Aspen ships with energy efficient integrated LED lamping, all lamping options are fully dimmable to create the desired ambiance in any space. Length -- Choose -- 36"